iCruise.com by WMPH Vacations provides users with the best cruise deals along with a wealth of information to assist users in making their choice. The company contacted LeewayHertz to take all their data and make it mobile, which led to the creation of this highly intuitive, successful, and award-winning app. 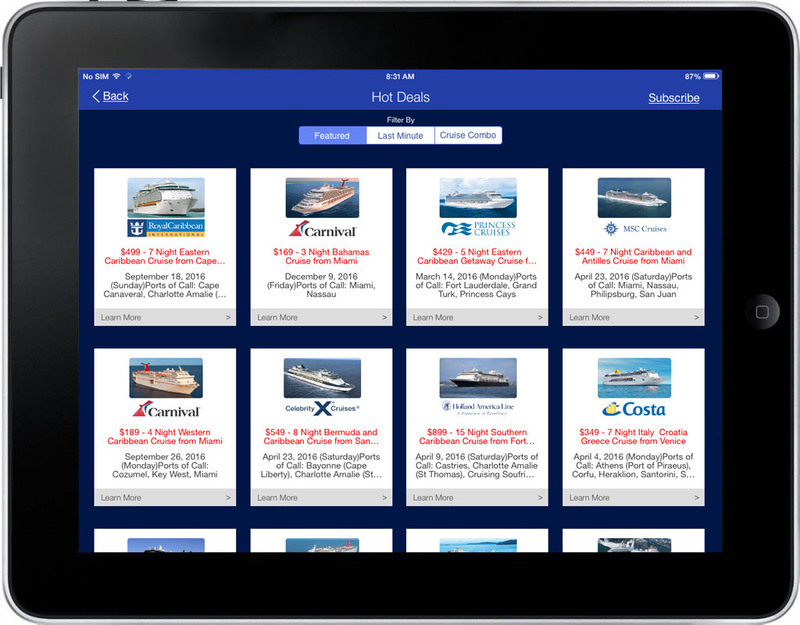 The mobile app gives users information on 32 different cruise lines, 310 ships, 25 destinations, and over 25,000 itineraries. 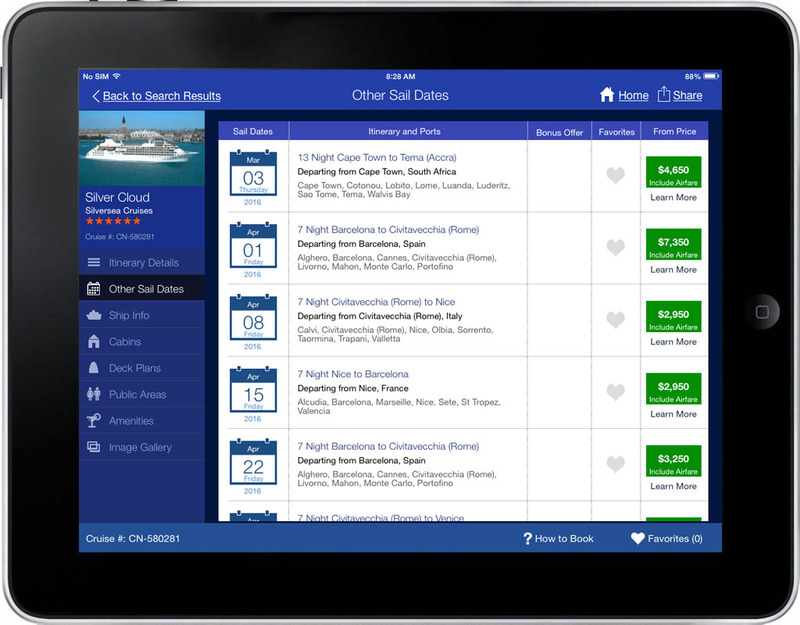 Users can easily browse, sort, and search for cruises according to their interests and preferred destinations. All the desired details are provided, including the cruise durations, the places and dates of departure, real-time room availability and pricing, deck plans, route maps, and photos from the ships and ports. 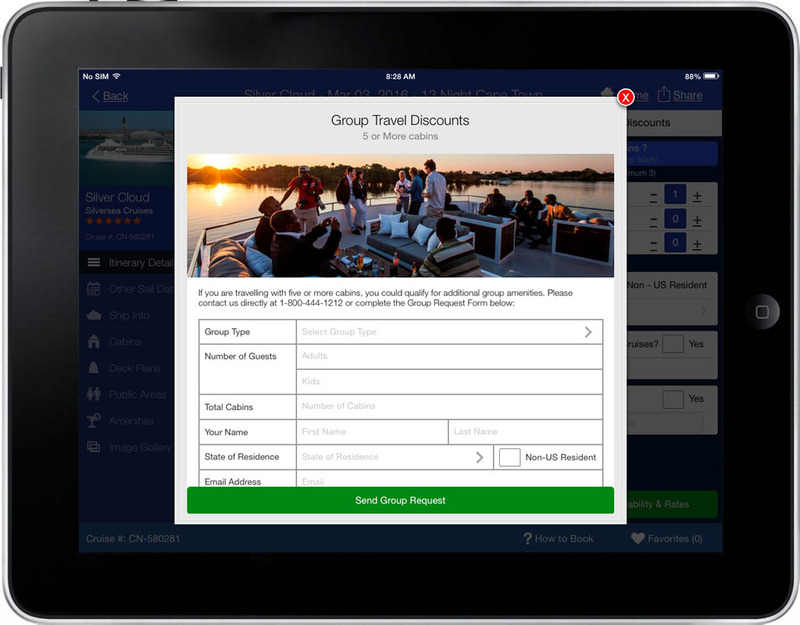 Users can share information on social media and mark ships, cruise lines, and itineraries as favorites. 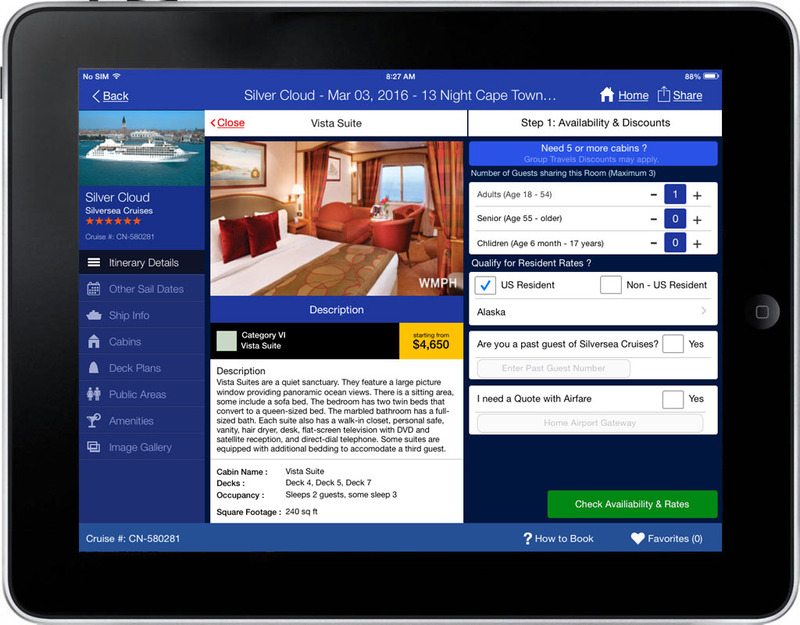 A special section of the app offers current deals and discounts. If users have any questions, they can contact company representatives by phone or live chat within the app.